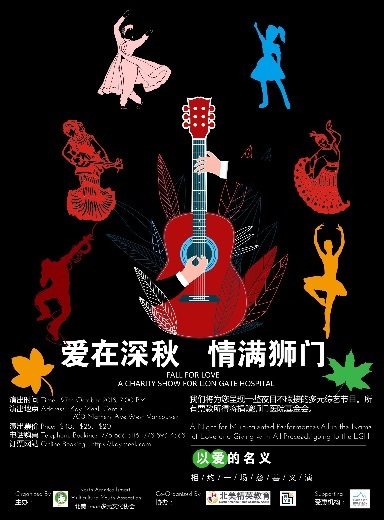 Fall for Love will be an entertaining evening filled with multi-cultural performances, including folk dance, modern dance, Chinese and foreign songs, a fashion show, musical performances, poetry & drama. Over 60 performers and over 30 volunteers will be gathered to support this charity event. All the proceeds will be donated to Lions Gate Hospital Foundation to build the new high-tech Medical & Surgical Centre on the North Shore which will revolutionize clinical and therapeutic care, provide faster access to surgery and save lives.